Robert Thorogood is an English screenwriter. 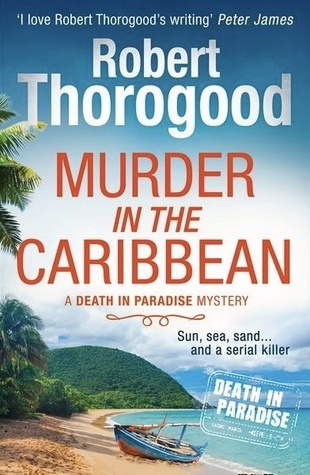 He is best known as the creator of the BBC 1 Murder Mystery Series, Death in Paradise. Robert was educated at Uppingham School in Rutland and read History at Downing College, Cambridge. While at Cambridge, he toured with the university's student comedy troupe Footlights in 1993 and was elected President in 1994. Soon after leaving Cambridge, Robert set up a theatre company that toured small theatres and schools, the highlight of which was a production of Molire's The Miser that he directed and acted in alongside Robert Webb, David Mitchell and Olivia Colman. Robert wrote for many years - selling scripts to the BBC, ITV and independent film companies - but before 2011 the only script of his that was actually broadcast was a Radio 4 afternoon play called From Abstraction about the life of Paul Wolfskehl. In 2008, Robert entered the inaugural Red Planet Prize and was a chosen finalist, where he was able to pitch his 'Copper in the Caribbean' idea to Tony Jordan. By 2011, when the show was finally broadcast - making it Robert's first TV broadcast credit at the age of 39 - Robert had become something of a poster boy for 'never giving up on the dream'. In January 2014, it was announced that Robert had signed a deal with MIRA Harlequin to write three Richard Poole Murder Mystery novels, with the first being published in hardback in January 2015.